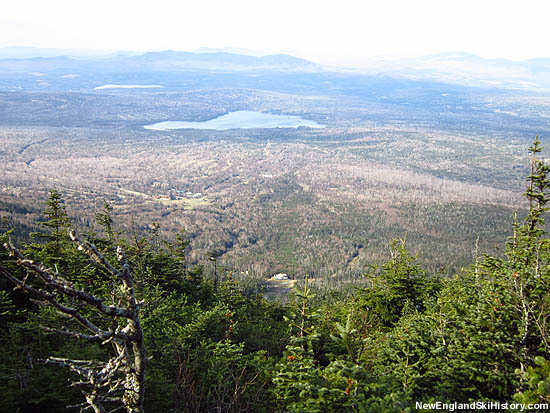 With neighbor Sugarloaf growing at a rapid pace, Saddleback was running the risk of being left in the dust. 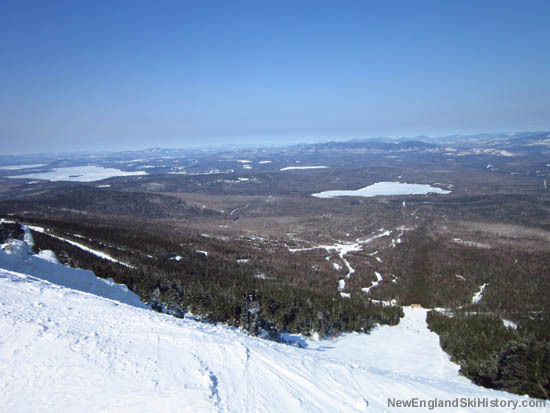 A major expansion was planned to help Saddleback become a major New England resort. 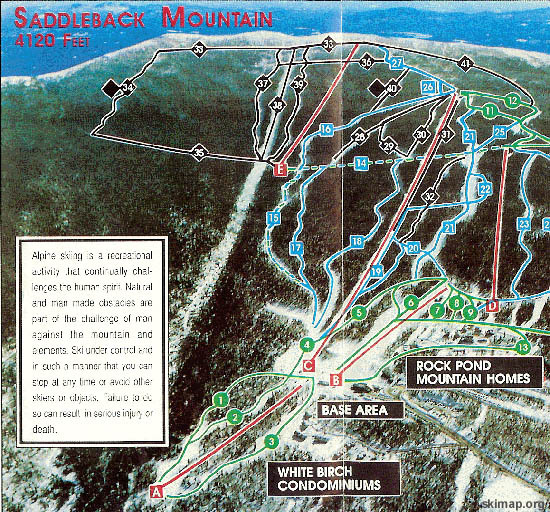 Circa 1972, John Christie purchased Saddleback and planned to take it into the big leagues. 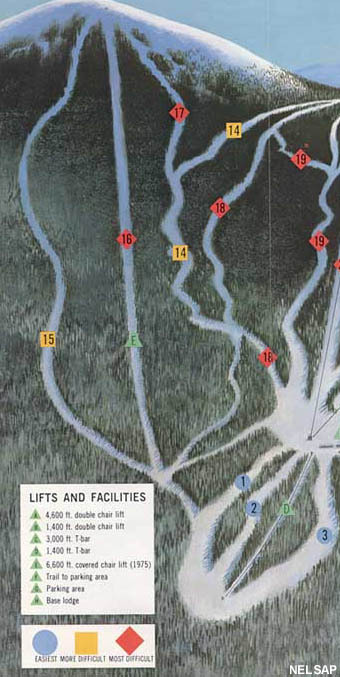 The details of the plans varied over the years - perhaps a new base area, perhaps a 6,600 foot covered chairlift, perhaps a gondola. 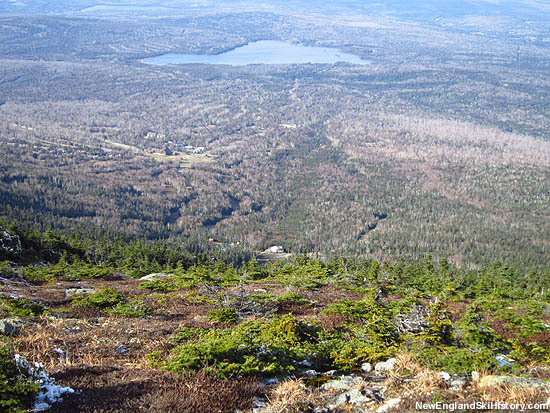 At least three trails, ranging up to 2,000 vertical feet, were planned - Hook, Line, and Sinker. 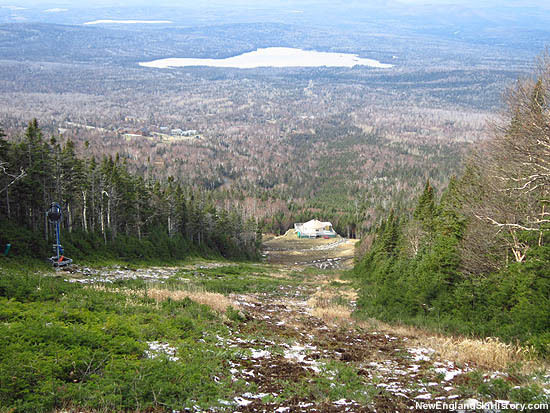 The lift line would eventually be cut all the way to the alpine zone in the early to mid 1970s, along with a few other trails. The top to bottom lift, however, would never be installed. 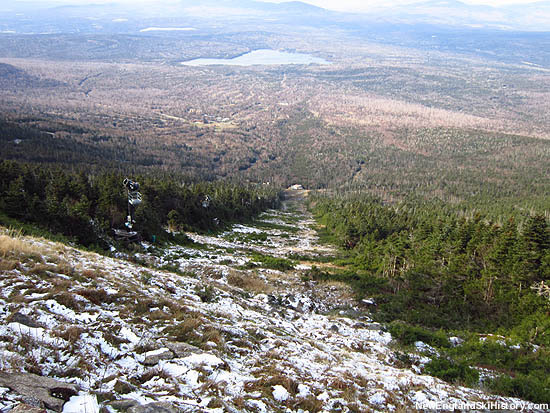 Instead, financial difficulties resulted in the sale of Saddleback in 1975. 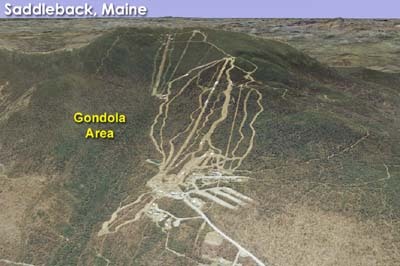 The Kennebago Area would later be built in the upper portion of the proposed Gondola Area, while the lower portion of the lift line would slowly grow in during subsequent decades.